Blue Gun Pistols are the most detailed, accurate and extensive line of “Firearm Simulators” on the market today. 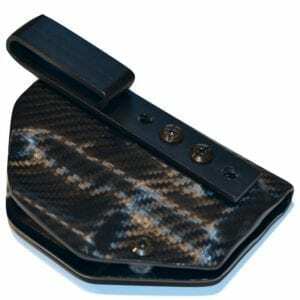 All of our products are inert detailed replicas of actual weapons designed for Law Enforcement and Military Training. 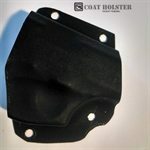 They are also useful if you are considering trying your hand at making concealed carry holsters, as they decrease the chance of damaging your real gun. Ring’s training weapons (known as “Firearm Simulators” or by the adopted name of “BLUEGUNS“) are so exact in size and dimension that many holster, grips & laser manufacturers use them to display their own products. Ring’s believes that in order to get proper safe tactical training you need to use a training aid that has the look and feel of your personal weapon. Each Blue Gun Pistol product is made with strong, impact-resistant polyurethane with steel reinforcement. This prevents bending and flexing while maintaining the detail, handling and balance of the actual weapon they represent. If you are looking for a high end simulator rifle then please contact us at sales@justholsterit.com for special pricing and availability. Each gun is fabricated in “Law Enforcement Blue” – the most recognized safety color in the world. If you are looking for a realistic & safe alternative to using live firearms in training situations, call us and ask for “BLUEGUNS“. Glock has recently issued a New Contract with Ring’s Manufacturing Inc. (BLUEGUNS) to manufacture Glock Blueguns as we have been doing for the past 10 years. This new contract states that Glock restricts the sale of Glock Blueguns to the Public. We are restricted to selling Glock Blueguns to the Police, Military, Trainers, Police Distributors, or Holster Manufacturers. We ask that our customers abide by these rules and refrain from offering Glock Blueguns to the Public on the internet, publications or in general catalogs. We apologize for the inconvenience and appreciate your support.